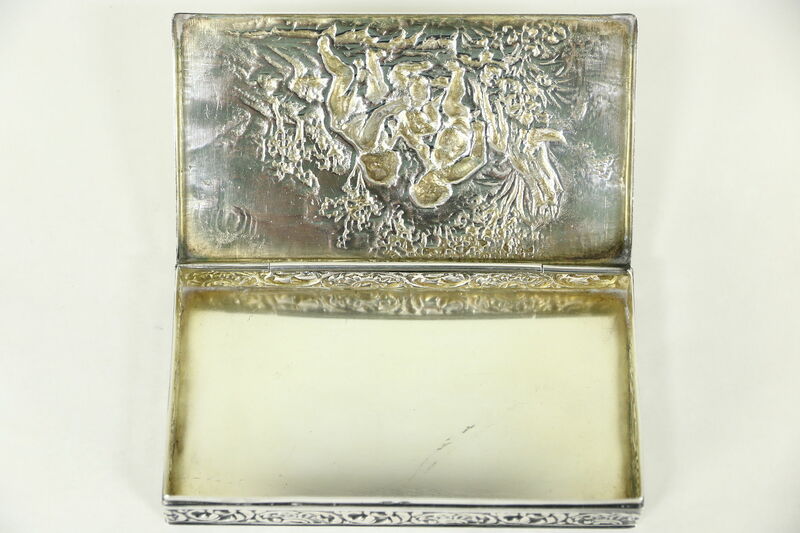 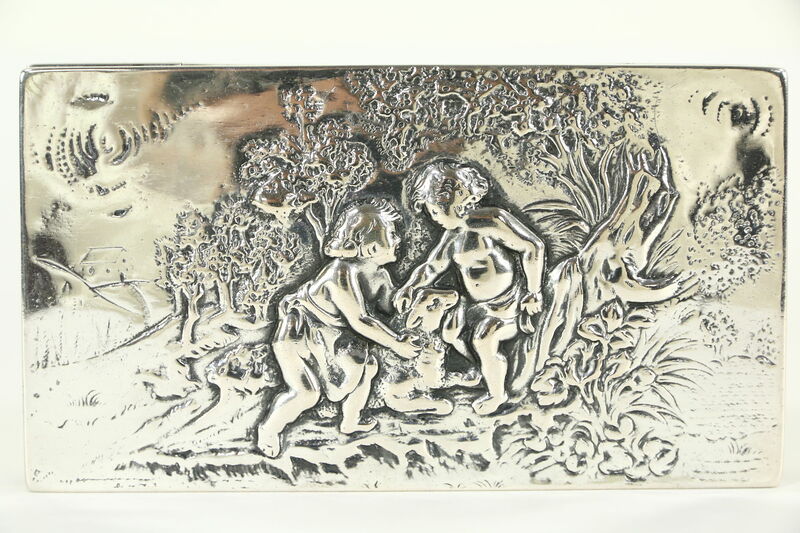 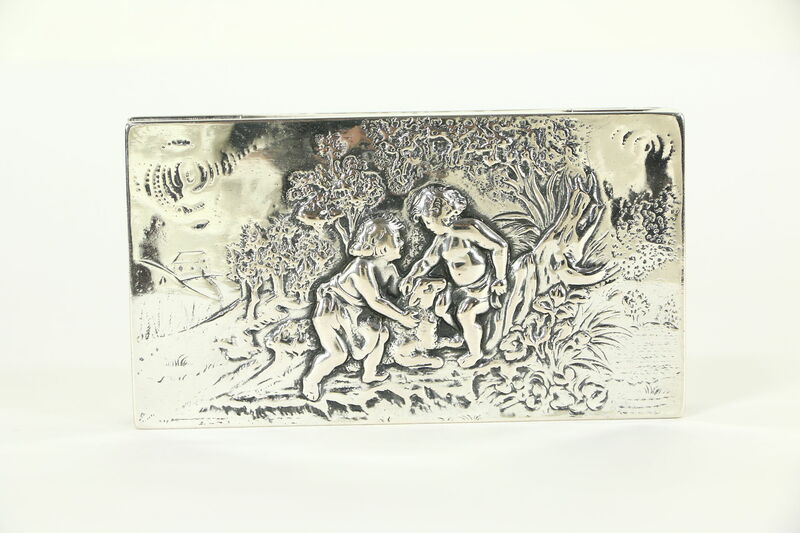 An exquisite small silver box for jewelry or keepsakes has a hand crafted "repousse" scene of children helping a lamb tangled in a thicket. 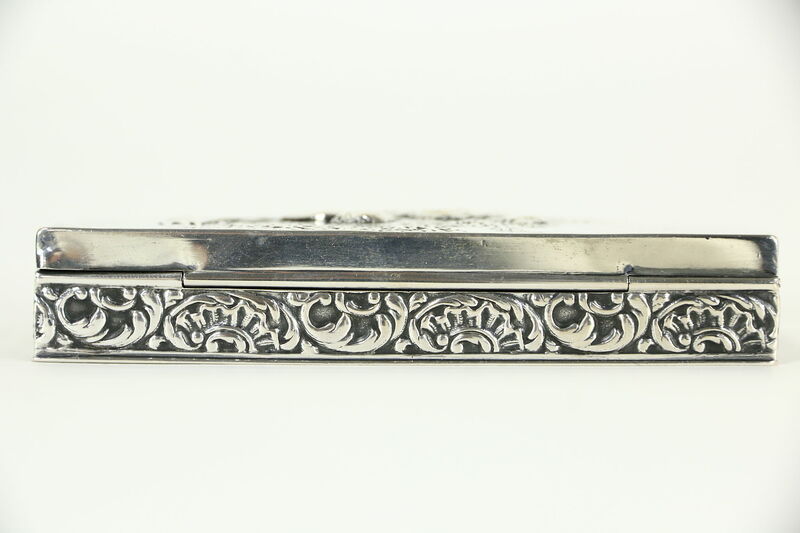 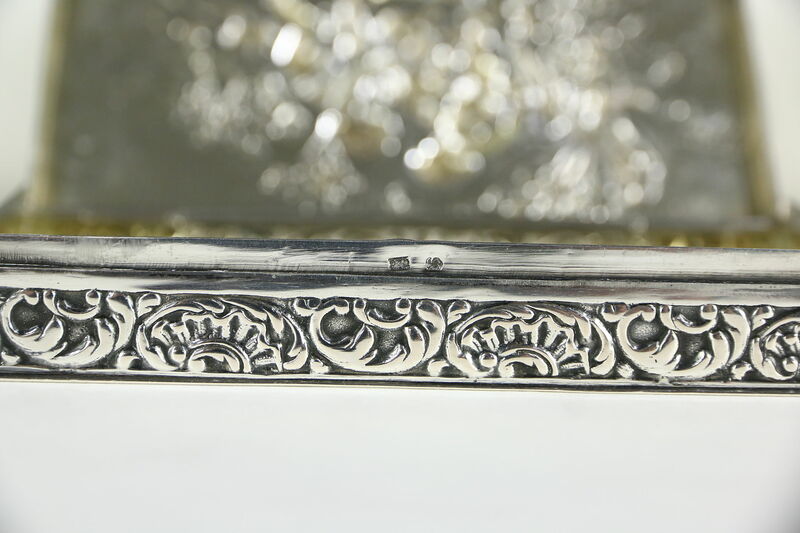 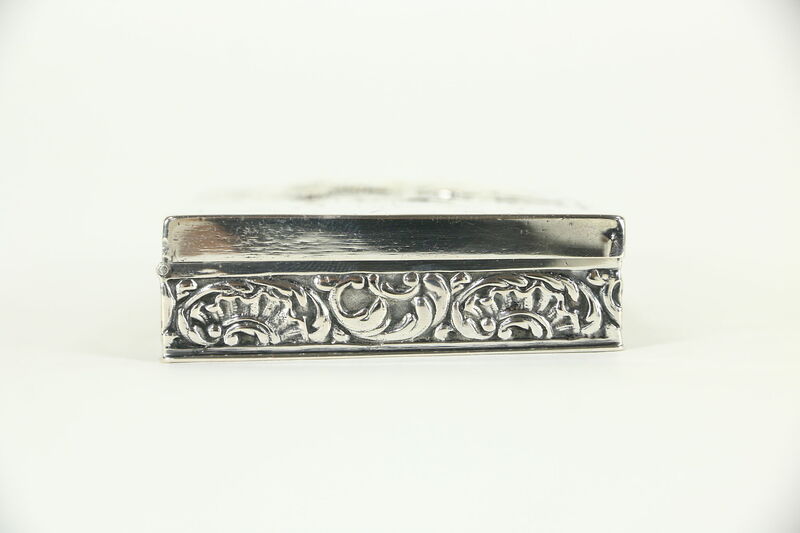 There are tiny stamped hallmarks that appear European, but we cannot identify them as to silver content or maker. 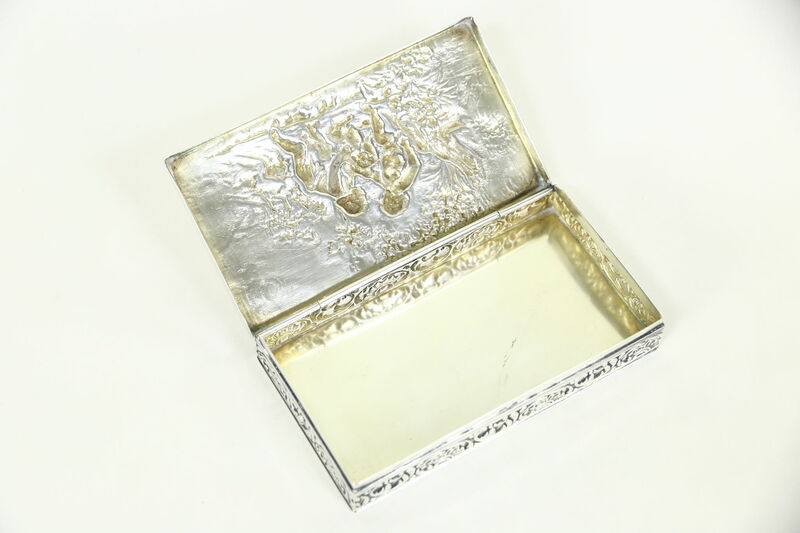 The interior has traces of a gold wash on this antique late 1800's box with exceptional artistry. 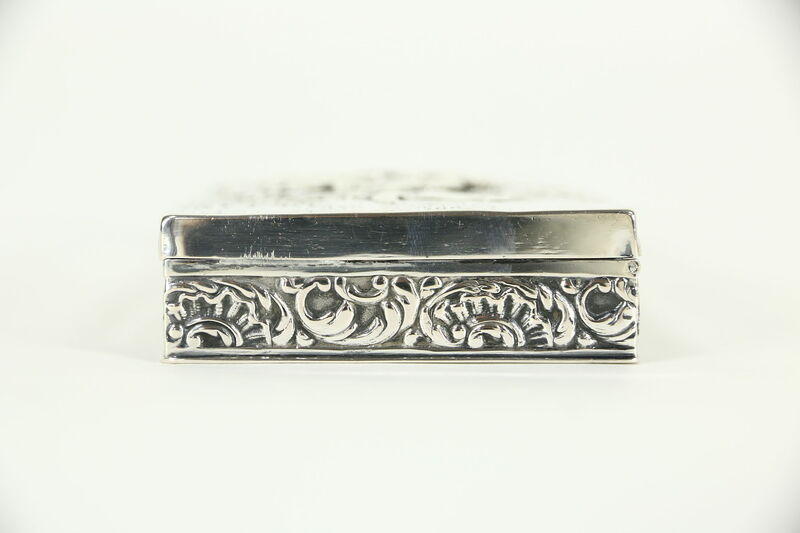 Measurements are 4 3/4" long, 2 1/2" wide and 1" tall. 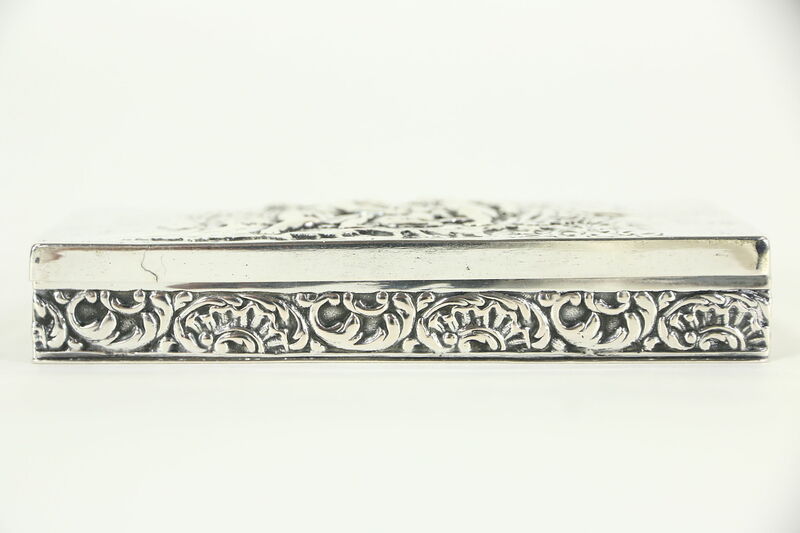 Shipping is $6 in the US.